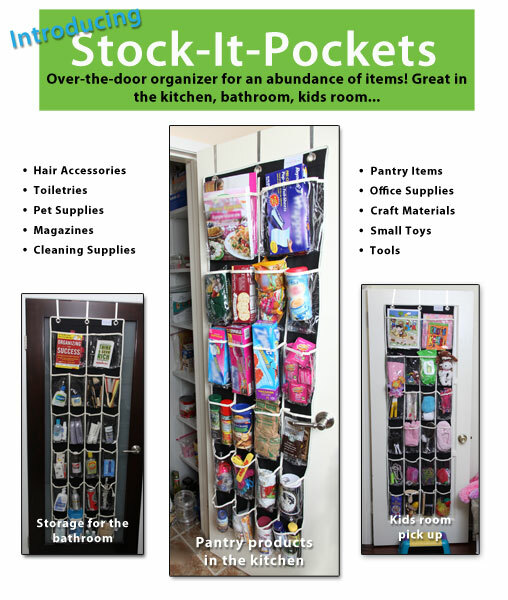 Stock-It-Pockets are a great way to organize magazines and pamphlets in your home or office! Don’t allow your office to look cluttered with stacks of magazines and pamphlets. After all, a simple pile up can create a messy-looking environment. With Stock-It-Pockets, you can neatly organize your magazines and pamphlets to reduce the look of clutter. Simply hang the organizer over any door and with the clear pocket design, you can categorize your magazines and pamphlets in any way that’s convenient for you. Reduce the clutter in your home or office by neatly placing them in your Stock-It Pockets. Separate your reading materials into magazines, pamphlets, and other printed items and arrange them so that you can easily access them when needed. You’ll find that having everything in easy reach will greatly improve your productivity both at home and at work. Best of all, Stock-It-Pockets is not only easy to install but it’s also portable so you can take it with you on the go. 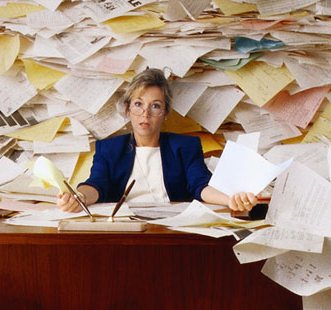 Avoid overload by managing the amount of paper in your area of the space that you work in. With Stock-It-Pockets, your reading material is neatly placed within the pockets and helps to reduce a mess from forming. Rather than having to look through piles of papers and pamphlets to find what you’re looking for, you’ll have an organized and presentable system for all your papers. With different configurations and pocket sizes, you can have the perfect storage space for any of your items. We’ll put organizing products into place to help keep your items organized once and for all. We understand how easily clutter can form and how much time it requires to constantly have to keep your place tidy and organized. Therefore, we have the ideal organizing products which can help to eliminate any recurring clutter that takes place in your home or office. With our help, you’ll be able to decide which items you no longer need and want to get rid of. Sometimes getting rid of items is easier said than done. However, holding on to unused items just adds unwanted clutter to your home or office. With our help, we can assess and determine which items are worth keeping and which unused items it’s time to toss or donate. Call us at (310) 560-5060 to learn about our various organizing products. To learn more about our services, like us on Facebook! For some, an extra hour of productivity per day may not be a big deal, whereas to others, one more productive hour can add a lot of value to their day. Packing up unused items and decluttering your office or home can significantly improve your productivity. By minimizing the time you spend looking for items, you can focus more on important activities and responsibilities. Increase your bottom line & free up much needed time that you can spend on recreational activities or on your work. The more efficiently you work, the more you can fit important activities into your daily routine. After all, time is money and learning to making good use of your time can definitely help you in the long run. Efficiency allows you to enjoy an organized and productive lifestyle with more control to do the things you want. Have more time to do the things you love. While work is important, don’t spend all your time completing work-related tasks or you’ll quickly burn out. To take full advantage of your life, it’s important for you to balance your work with building relationships and doing activities and hobbies you enjoy. By managing your time effectively and being more productive, you can free up a lot of time to enjoy every aspect of life. With one extra hour, you can increase your productivity and efficiency by paying more attention to detail and finishing your tasks more accurately. Use every hour to your advantage and ensure that you get quality work done. By having an adequate amount of time dedicated to your work, you can avoid having to rush through your tasks but rather focus on completing them accurately. While taking a break and browsing the web can help to clear the mind every now and then, it’s important to not get lost in those activities. Develop your time management skills with our help and become the most productive you can be. As professional organizers, we focus on organizing all aspects of your life, whether physical (e.g., office, home) or mental. With years of experience in the business, we know that time management isn’t a skill that is impossible to learn. Through effective techniques and strategies, we can guide you towards becoming a more time efficient individual which can benefit you in all areas of your life. Our policies and procedures can make your tasks more automated and efficient. Many of us get through our days with constant errands and responsibilities; making our lives feel overwhelming busy. We can instill policies and procedures which can help make those repetitive tasks automated – saving you a lot of time for other personal or professional responsibilities. Call us at (310) 560-5060 to learn how you can earn an extra hour of productivity each day and don’t forget to like us on Facebook! The sooner you learn something, the better you can be at it. This is why it’s important to instill organizational skills in children from a young age. It’s never too early to teach them that they too can get involved in eliminating clutter and living an organized life. Inform your kids about the importance and concept of staying organized. For everything you tell a child, you may get a million questions back. When it comes to staying organized, never hesitate to elaborate why this is important. Children will respond a lot better to you telling them to ‘clean their room’ or ‘get the bookshelf in order’ when they know why they’re doing it. Because of this, it is essential that you explain that getting organized can increase their level of productivity and provide them with a better and brighter future. Organization is an important skill that’s useful in every aspect of their life. Children need to understand that organization isn’t only essential in school. Everyday life needs to be tackled with the same organized approach as to enable proper time management and overall productivity. Learning needs to be geared towards kids to ensure they remain interested, otherwise, all your effort may be unproductive. Getting themselves organized for their own independence. Regardless of your child’s age, you want to teach them that organization and independence are interconnected. Proving to you that they know how to get the necessary tasks done will show you that they’re ready to take bigger steps in life. Children often love the opportunities and responsibilities that their parents give them and it’s important that as a parent, you have the peace of mind in knowing that your child is ready for many of the challenging obstacles that the future may bring. We can ensure your kids get organized and stay organized. If you’re uncertain of where to get started when teaching your children about the importance of organization, know that we are here to help you every step of the way. We know just the tactics to put in place to ensure that your child not only understands why being organized is vital but also that your child enjoys the process. Let us teach them the skills to help them in all areas of their life. We can put systems into place and offer helpful strategies to not only help your child get organized, but to stay organized. With organization, kids no longer have to worry about cleaning up their clutter but can rather focus their time on other important areas of their lives. Call us at (310) 560-5060 to discuss how we can help teach you and your child important strategies for how to get better organized in life. Be sure to like us on Facebook as well! When preparing your house for sale, your ultimate goal will be to have potential buyers fall in love with your house and to have this happen, your home needs to be appealing and free of clutter. 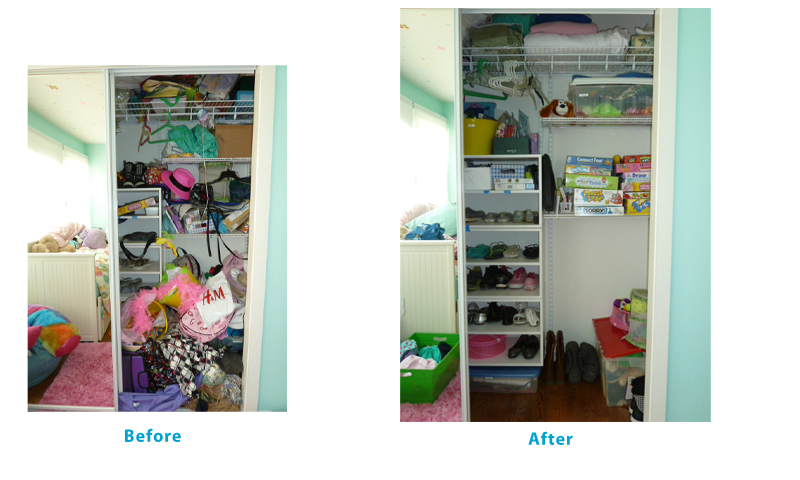 Organize, clean, and de-clutter your property to prepare it for potential buyers. A cluttered home isn’t one that’s going to attract buyers. When potential buyers show up, you want them to admire your home rather than the things in your home. Disorganization is distracting and will have their eyes wandering to all the wrong places. A clean house can show potential buyers the value of your property. There’s nothing that says a property is worth its asking price more than the care that went into the property. Show potential buyers that your property is worth every penny by cleaning thoroughly, organizing efficiently, and reducing clutter. Help prospective buyers envision themselves living in your house. Clutter can make your home appear small so make sure you tidy up and make your property appealing to prospective buyers. Remember, one of the main things that prospective buyers will be looking out for is square footage. They won’t show up with a tape measure ready to accurately go through each inch of your house, but instead, they’ll let their eyes do the calculating. With furniture in place and appealing decorations, you can help prospective buyers get a sense of what it’ll be like to live there. What items should you keep, toss, and donate? Of course, you will want to get things organized and reduce the amount of items you have in your home, however, this doesn’t mean that everything needs to make its way to the dumpster. Instead, you can use accents such as mirrors and flower pots as well as lamps and plants to spruce up the appearance of your room. However, in the process of cleaning up, you want to rid your home of all the things that haven’t made their way out of your closet, cupboards, or attic for longer than a couple years. Make a separate pile for items that you want to keep, toss, and donate. I can help coordinate your entire move, from packing to unpacking. If you’re in need of assistance with getting your old home cleared out and your new home set up, give me a call to make this transition a hassle free one. 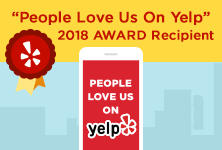 Although property owners are familiar with their home, it takes a high degree of knowledge and experience to make the move convenient and stress free. Call us at (310) 560-5060 to discuss how we can help coordinate your entire move and like us on Facebook!